Our society struggles with who is truly welcome within our borders. There are debates about welcoming new immigrants, refuges and people from outside of our County, City and State. This is an important conversation that impacts so many children, youth, men and women. As Christians we take our lead from Jesus Christ whose welcome extends to all- people from every country of origin, refuges, people of various languages, cultures, faith traditions and races. We work to communicate what Jesus is about in what we say and do. 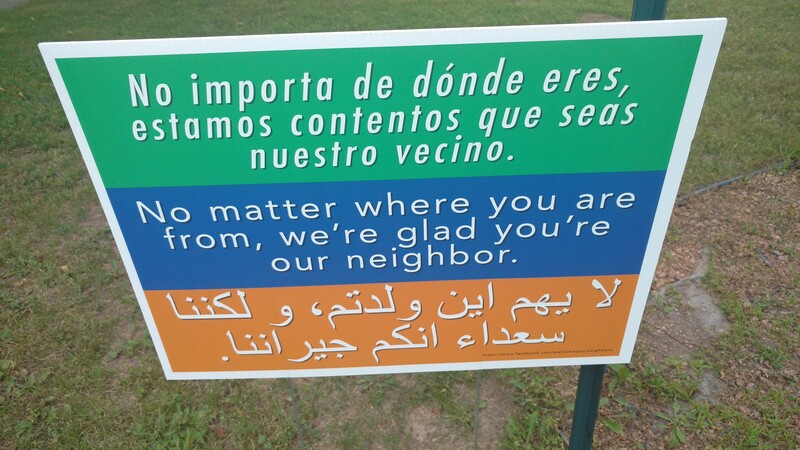 Also, the Elders have placed outside signs that communicate the welcome we seek to extend to all.